Rockers TV was a New York Public Access show that focused on reggae music and ran for over twenty-five years. 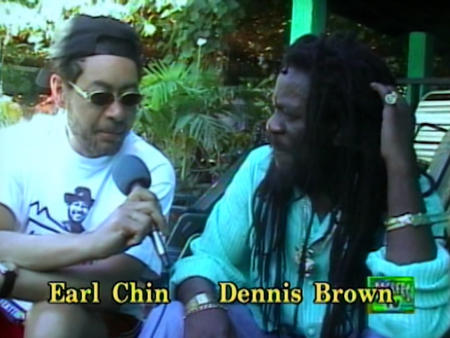 Earl "Rootsman" Chin was the laidback host and producer of this low-budget show that managed to snag big names like Bob Marley and Bunny Wailer on a regular basis. 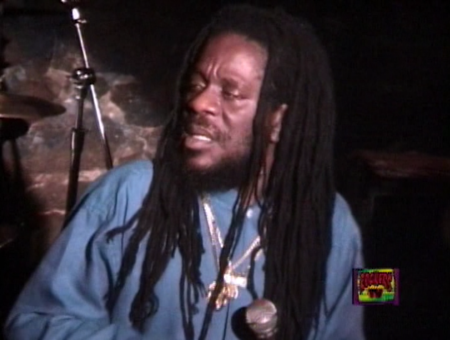 The new disc Dennis Brown Live: Rockers TV presents the show's memorial episode to the "Crown Prince of Reggae" Dennis Brown, which consists mostly of early '90s clips of Brown performing at the Reggae Sunsplash festival in Jamaica intercut with interview footage shot with Brown a few short months before he died of respiratory failure in 1999 at the age of 42. My knowledge of reggae music is not vast. I am mostly familiar with the bigger acts that crossed over to U.S. popularity thanks to the soundtrack of The Harder They Come, plus I am fond of the '80s film Rockers. The fact that Earl Chin's show shares the name of this cult classic film is the main thing that piqued my interest in this release. Therefore I must somewhat shamefully admit that I did not know who Dennis Brown was when I picked this disc out of the DVD Talk screener pool. Poking around online, I find that Dennis Brown is kind of a big deal. He started his professional career as a pre-teen and went on to record 75 albums in a little over 30 years. Bob Marley called him his favorite singer. The Rockers TV presentation does an okay job of capturing Brown in action, although the clips seem fairly random and context-free, which prevents viewers from getting into the rhythm of a live show. Since Brown's band lets songs flow into each other in big jammy medleys, there are also a few abrupt cuts out of the live footage to the interviews. (The choppy editing is the dead giveaway that this was a public access show, even more than the image quality... which is admittedly rough, although it looks dated more than it looks cheap.) Not being familiar with Brown's career, I can't really speak to how good of an overview the selected songs are, but Brown remains a warm, positive presence throughout the disc. Much like Toots Hibbert of Toots and the Maytals, Brown has been partially influenced by American soul music, as evidenced by his smooth singing style and his choice to cover songs like Phil Phillips's "Sea of Love"(which appears during the end credits). The program also features brief interstitials with Lauryn Hill of the Fugees, Luciano the Messenger, and an herbal medicine specialist named Brother Rahsan. These have nothing to do with the main idea of the program, but make for fascinating little interludes. As I stated above, the standard 1.33:1 image is pretty rough-looking. 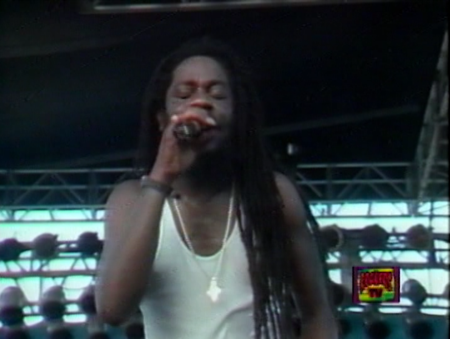 The 1990 Reggae Sunsplash clips look the worst, with a lot of tape wear lines and some image instability, but all of the footage looks like a second- or third-generation dub (and I don't mean the musical genre). Considering the program is only 51 minutes, MVD made a solid choice in going for a PCM 48khz/16-bit stereo audio track. The older Reggae Sunsplash clips sound particularly good, apart from a couple of brief tape drop-outs during the 1990 footage. They seem to have been taken from a soundboard mix, while the newer performances in Grenada are clearly just recorded from within the room, probably by Earl Chin or whoever he had manning the camera. This means these Grenada songs sound far inferior to the other clips, with "Wild Fire" sounding particularly overmodulated and distorted. "To The Foundation" and "Since You've Been Away" were recorded at a different show, with a slightly better-sounding set-up, but it still lacks the richness of the early-90s clips. This might honestly be a fans-only release, considering the lack of context and the somewhat ramshackle quality of the program. As an outsider, though, I still found myself enjoying the music, the interviews, and even the odd public-access quirks of this Rockers TV episode. I am definitely going to listen to more of Dennis Brown's music. Mildly Recommended.